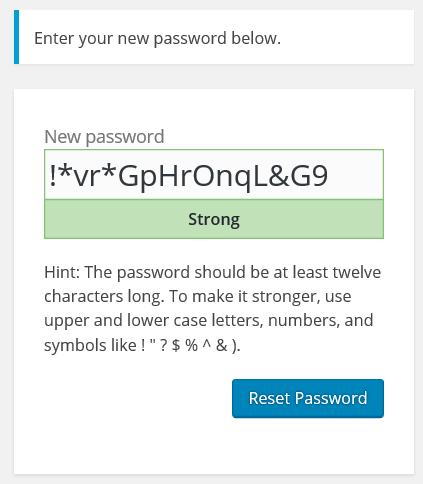 There might come an occasion when you forget your password or for some reason your password doesn’t work. Here are the steps you need to follow to get a new password. 1. 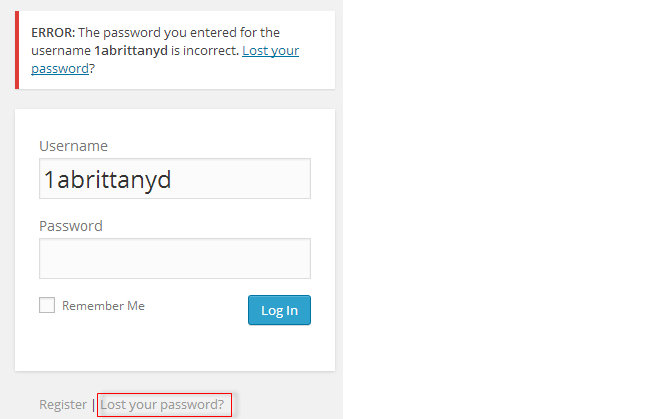 Click on the Lost Your Password link on your login page. 2. 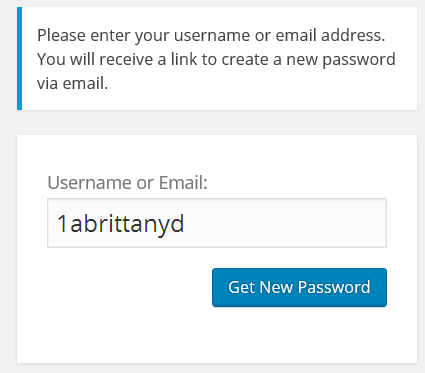 Enter your username, or email address, and click Get New Password. 3. Now check your email for a confirmation email — this should arrive within 30 minutes. Make sure you check your spam folder just in case it is marked as spam. 4. Click on the link in the confirmation email to reset your password — this should take you to a new window where you can enter your new password. 5. 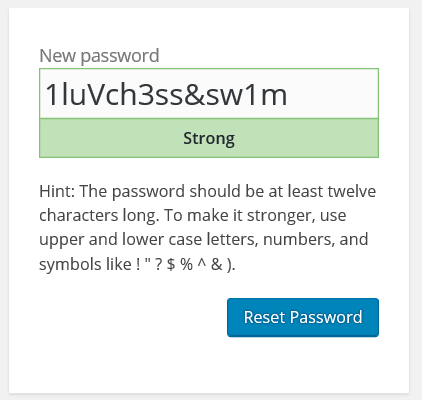 The password reset window loads with an automatically generated password. 6. Click Reset Password to change the password. If you are unable to reset your own password please send an email to support@edublogs.org so it can be manually reset for you.